Many who love to explore fiction also enjoy exploring the world. Is there a way for book-lovers to combine these passions into one extraordinary excursion? Well, if we’re talking about J.R.R. Tolkien’s Middle Earth, perhaps not. But, if we reel in our expectations, the possibilities are numerous. The real universe that we occupy is overlapped an infinite number of times by fictional ones sculpted by the authors we love. So, how do we create an itinerary to visit the same haunts as our favorite fictional villains and heroes? It’s not as hard as you might expect. Be it Charles Dickens’ London or the frontier towns of Willa Cather, authors often create characters and events in the real spaces they know and love (or hate). Let’s explore the process of how to put the ‘book’ in booking an author-centric itinerary for your next vacation. For any interest one can have, there are some fine and fascinating travel-themed books. For the culinary-minded, travelguru Anthony Bourdain allows us a peek through the swinging doors in Kitchen Confidential. If you’re interested in medicine, air travel, or just the intensely weird, check out Stephanie Green’s Flight Risk: The Highs and Lows of Life as a Doctor at Heathrow Airport. For some of us though, travel isn’t just about airplane reading and ‘Best-Of’ guides. Leaving home doesn’t have to mean leaving the heavy reading on the shelf. This article is a unique sort of chaperone. The goal is to help you relax your perception. Allow yourself to follow an author’s inspiration full circle. With a little imagination and some inspired planning, you could be writing your own story by taking a page from a favorite book or two. Sit down with a cup of coffee and let’s get planning! B) select an author and engineer your destinations to guide you through the world of his or her writings. A) Where do you want to go? Let’s begin with avenue A: selecting the destination. Putting aside the myriad other considerations (cost, climate, proximity) let me make some suggestions specific to our author-centric itinerary. While it’s almost inevitable that your pilgrimage will take you to both man-made and natural destinations, trips tend to favor one or the other. Both types of landmarks can prove interesting intersections of fictional and real space. Natural landmarks tend to be more resilient and therefore less likely to be changed from the state described. They provide broad backdrops for the atmosphere of the literature associated with them. Urban landmarks are more specific (and potentially historically interesting) but also susceptible to change or erasure. If you want to travel somewhere overlapped by a fictional history, you have to travel somewhere with a real one. You aren’t going to find many exciting plotlines winding their way through the local strip mall. In the United States, cities like New York, Chicago, New Orleans, and San Francisco have long inspired authors and other artists with their rich history and peculiar beauty. Places that are population-dense are also author-dense. For instance, a visit to Philadelphia will present you with the territory that influenced a bevy of wordsmiths including Louisa May Alcott, Edgar Allen Poe, and James Michener. On the other hand, if you have your heart set on visiting the now-deserted town of Florida, Missouri to pay homage to the birthplace of the great Samuel Clemens, you’ll return home having checked only one author off your list. Some countries, cities, and populations have more of a reverence for history than others. Some places have been ravaged by war or natural disasters while others are a flashback to an earlier time. Whatever the reason, there are many cases where the landmarks referred to in your favorite novel are no longer there or have been drastically altered. It’s much more exciting to visit a spot that still looks like the author’s description. Some quick research from your home computer will reveal the sites that still stand. Choose a place and then find the relevant book, or return to a favorite volume and crawl into the setting with your travel itinerary. B) Who do you want to read? What if you care less for where you go as long as you can immerse yourself in the inspiration of your favorite fiction? Let’s take a look at some of the most important considerations for selecting the best reading material for your author-centric itinerary. A Genre with Geographical Relevance. At least some of the main attractions in the novels need to be real. For instance, while visiting Stephen King’s home state of Maine may give you a general feel, most of his novels are set in fictional towns like Derry and Jerusalem’s Lot. A Hitchhiker’s Guide to the Galaxy by Douglas Adams begins in England but quickly takes you out of the atmosphere to advanced alien planets like Magrathea. And although the Gilead of Margaret Atwood’s The Handmaid’s Tale may be constructed to remind one of real-world oppression, you’ll be hard-pressed to pick out any landmarks. Choose works that base their action in a real place. An Author with Cultural Context. Don’t stop just because you’ve selected a novel that sets its action in a specific location. Further decide if the content of the work builds upon the culture and history of the locale. Just because much of Ayn Rand’s Atlas Shrugged ‘takes place’ in New York City, doesn’t mean it draws from The Big Apple’s rich history to create the narrative (it doesn’t). On the other hand, The Complete Works of Sherlock Holmes by Sir Arthur Conan Doyle are steeped in Victorian London. A history buff may want to know where Dostoyevsky did his time, but I’d rather see where Raskolnikov iced his landlady. Once you’ve settled on an author and a setting for your travels, it is worth considering whether or not you want to focus on tracing the steps of the author or the characters. These two things are certainly not mutually exclusive. Many authors draw on familiar places for inspiration, so some version of a pub frequented by the author may double as the seedy rendezvous in the fictional work. That said, in my opinion it’s better to err on the side of shadowing the narrative, not the biography. For one, fictional characters often do more stimulating things and go to more thought-provoking places. Secondly, the true spirit of the bibliophile lies with the telling of the tale. A history buff may want to know where Dostoyevsky did his time, but I’d rather see where Raskolnikov iced his landlady. Now that you have an idea for a destination and an author or two to follow, how do you go about planning the details of your author-centric itinerary? The good news is that it’s not as esoteric as you might fear. Hotels, restaurants, tours, and museums can all be a part of your journey as much or as little as you like. 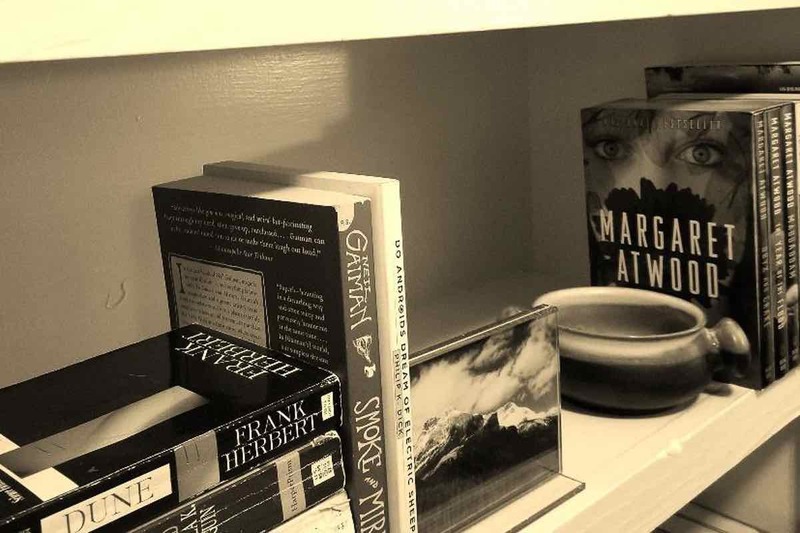 Here are a few literary suggestions to help tailor your expedition. I’m not using the term ironically, and I’m not talking about Cliff’s Notes or waiting-room brochures. Put down your Google and walk to that dusty bookcase. Spend some time with the authors who were enriched by your destination. If you’re going to be setting your GPS for New Orleans, actually read John Kennedy Toole’s A Confederacy of Dunces. Finish The Rum Diary by Hunter S. Thompson before shoving off for Puerto Rico. Don’t just lay it open in your lap on the plane. Do the heavy lifting. Fiction draws from the local culture and then feeds back into it. Step into the middle of that cycle, and you’ll arrive at your destination looking through a lens you’ll never get from a travel guide. With 7 billion people on the planet, there are fanatics (and I use that word fondly) for anything you can think of. If you want to do a tour of Florida through the eyes of Zora Neale Hurston’s landmark novel Their Eyes Were Watching God, someone can show you the way (I checked). This first-hand assistance can take many forms, ranging from online maps and message boards to amateur publications and actual guided tours. I highly suggest reaching out to some like-minded bibliophiles before you begin your trek. Tours and resources compiled by fellow bibliophiles can be uncovered with a bit of research. If you want to get into the headspace of a writer, try a little method acting. Authors and characters had to get from point to point, too. Between epic gun battles and sordid love affairs, they slept, ate, and took in the occasional bad movie. Consider using a travel credit card to help you get the full experience and earn rewards for it. Don’t miss these opportunities to enrich your author-centric vacation. If the city or area has particularly scenic, poignant, or significant ingress, choose this over the interstate. If you’ve fallen in love with Agatha Christie after reading Murder on the Orient Express, wouldn’t you want to take the train? Old Hotels and B&Bs are generally rich with the history of characters and the authors who created them. Skip the Motel 6 and put your homework to good use when booking a place to stay. Historic taverns and restaurants provide another rich avenue to immerse yourself in the world of your favorite books. Be warned: many authors changed the names of real establishments to feature them in their fiction. To further complicate things, original joints get shuttered, torn down, sold, bought, and renamed. Sometimes, as in this epic battle for bragging rights to Hemingway’s bar stool, the truth is a matter of opinion. In some cases, a particular area is so saturated with inspiration for an author that it’s worth striking out on foot and experiencing them one after another. James Joyce drew so much inspiration from (and had such a large impact on) his hometown of Dublin, Ireland, that you could plan consecutive days of walking tours and still not touch all the spots. A trip to the Gravity Bar at the top of the Guinness Storehouse will reward you with a cold pint and a 360-degree view of the city complete with James Joyce excerpts etched in the glass. When you stand in the center and read a passage, you’re staring through the window at the site it references. It doesn’t get much better than that. Look online for experts and ideas. For pulp fiction fanatics, modern day femme fatale Kim Cooper provides a four-hour bus tour of Raymond Chandler’s Los Angeles. 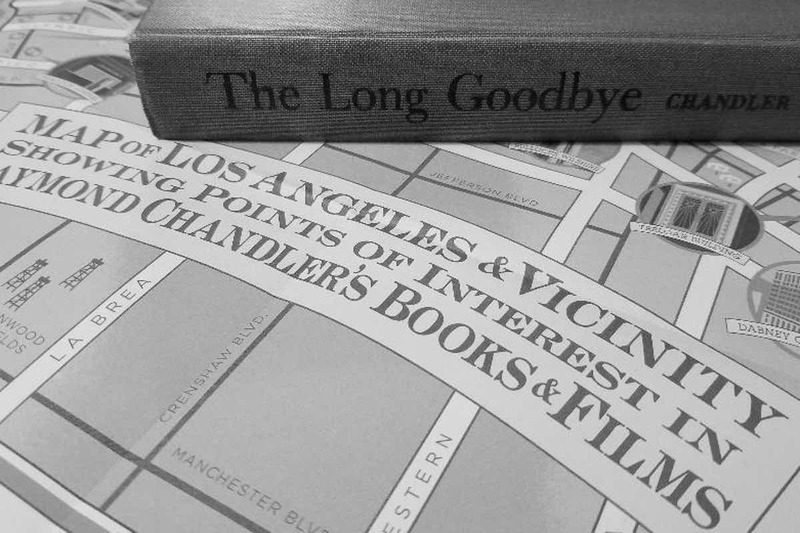 Or if you prefer to tail his iconic protagonist Philip Marlowe on your own, you can buy the Raymond Chandler Map of Los Angeles from Amazon. The point is, resources for the traveling fiction lover abound. The cardinal rule of conservation on an outdoor adventure is ‘Take Only Pictures. Leave Only Footprints.’ For our author-centric excursion, I encourage you to embellish on this old adage. Where would you be without the literary breadcrumbs left behind for you to follow? It’s only proper that you should add to the tale and take a page home with you. Airport gift shops are for last-minute trinkets to give forgotten relatives. You put a lot of work into planning this trip. Take more away from it than jet lag. You’ll want to bring home some souvenirs, and nothing is more apropos than, well…books. Pardon my play on words, but the most meaningful books in my personal library have a story of their own. I don’t mean the content, either. I mean that specific copy that I remember buying from that impossibly old bookseller in that weird little town on that peculiar day that I’ll never forget. Don’t get me wrong, Barnes & Noble and Amazon are great when you have that urgent need for a specific title. On your trip though, I encourage you to seek out singular stores and take time to find some unique copies from your favorite authors. Make sure to do your homework, including asking people who know what they’re talking about. Used book buying is a tricky thing. While people associate the term ‘First Edition’ with $2,000 copies of On The Road by Jack Kerouac, many are modestly priced. For the First Edition of a book to be valuable, the author has to be very well-esteemed AND the First Edition of the book has to be relatively rare. Odds are that you have the wallet for one or more of your favorite author’s First Editions, especially if he or she is still writing. If you keep your ear to the ground (or nose to the page) for up-and-coming authors, you can buy books before they’re famous. Sites like Lisa Ann Reads specialize in picking literary diamonds out of the rough. If your favorite author is still alive and making public appearances, see if you can hunt them down for a book signing. While this is impossible or extremely difficult in many cases, in others it may just take some patience and flexibility. If you can arrange a signing and happen to have one of those aforementioned First Editions with you, you will have a very special souvenir to place gingerly back on your shelf. Also consider taking this suggestion more liberally. Maybe you came to Chicago to trace the numerous sites mentioned in The Devil in the White City. 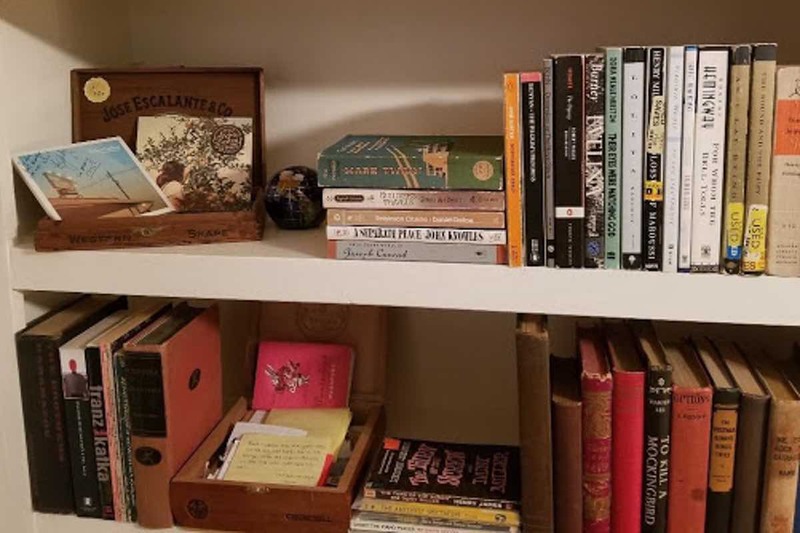 While prolific author Erik Larson might be difficult to pin down, a tour through some local bookstores and coffee shops will quickly acquaint you with lesser-known local authors who would be eager to bless you with a scrawl inside their newest work. 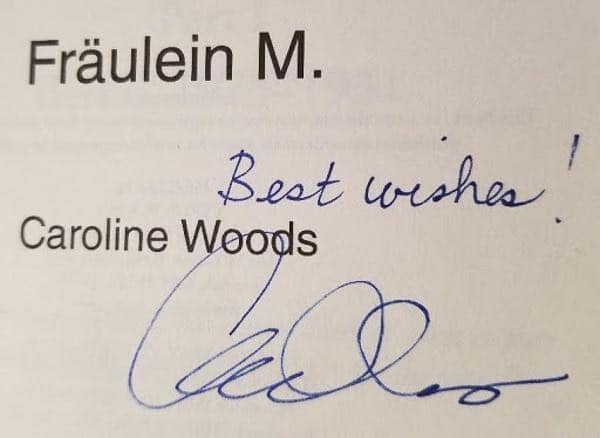 Up-and-coming Chicago author Caroline Woods was more than happy to sign my copy of her first novel Fraulein M. Don’t ever buy a book from an author without a signature! I’m not talking about the phone charger or the raincoat you forgot you checked. A journey is dynamic. Make your mark when you travel. Your Signature in Guest Books. While hotels may be famous (or notorious) for their anonymity, the newer trend of staying in private residences via sites like Airbnb and HomeAway can make the trip much more personal. If you choose this avenue, your host may prove another valuable resource to your author-centric itinerary. Most of these residences have a guest book for you to write in and sign. Read the tales of the travelers before you and leave your own legacy. If you are a true bibliophile, you know that critical information like book signings and rare book deals often travels under the radar. If you’ve been fortunate enough to meet some like-minded friends on your journey, make an extra effort to keep in touch. Even signing up on email lists of local bookstores will keep you in the loop. When I was a young man, I made a young man’s mistake of thinking that Robert Frost’s ubiquitous poem ‘The Road Not Taken’ was about blazing my own way confidently into the unknown. Now, after years of horrible mistakes that I am truly grateful for, I understand that I can’t ever see down that other path to know if my road was the right one. In the spirit of this rather gothic optimism, I’ll never know if my travel advice to you is completely invaluable or a complete waste of your time. I will say with absolute certainty that my mind is uplifted when it travels, whether that is around the room or across an ocean. There is always more to know, and I, for one, am a better man when I’m learning. Note: Some links on this page may have been placed by companies from which TravelPast50.com receives compensation. This compensation may impact how and where products are mentioned within a post. The content and opinions herein are our own, and not assigned or approved by any advertiser. This is a fascinating way to build an itinerary. Like you I read fiction and non-fiction tied to a place I’m visiting. I like to do that ahead of time to get a sense of the place and its people, but it is also often my reading material on the trip. I haven’t specifically planned a trip around a book or author. Nor have I made extra effort to visit places I come across in the book. I think I will pay more attention to doing that in future trips. This year, my reading has come after the fact: “Murder in Matera” AFTER biking through Southern Italy, and “Eleni” during and after a trip to Greece. Both are non-fiction, but both are page-turners and really speak to the regions’ respective cultures. Literary travel is certainly a fascinating niche for travellers to pursue, Kristin. Thx for guiding us along on the process. Of course, seeking out literary references and buying a book or two doesn’t preclude enjoying a side of chocolate! Nice post! It opens up a world of other destinations! I’ve traveled to “book” destinations before, but your post is so complete it shows me I missed a lot on my adventures. Thank you so much for this map to literary travel!! Thanks. I like the way Ben offered a range of approached to a literary site–and ideas for take-aways!